Following reports that Michael Tse would not be renewing his TVB contract, the actor himself recently admitted the news and revealed his reasons for it. According to TVB News, the actor, who was recording for the new "Super Trio Show: Super Nova" recently likened his decision to an end of a phase. Revealing that he will not be renewing his contract when it expires in July, Michael explained, "It's similar to students graduating from school. They still have to advance to the next grade level. Just like Fala Chen, I am leaving to continue my education." "Each individual makes different decisions; I want to expand my knowledge elsewhere," the actor added. 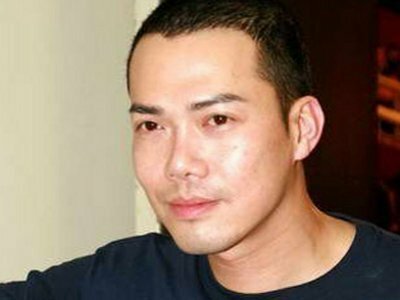 When asked if TVB tried to convince him to stay, the "Sergeant Tabloid" actor admitted that the company has offered him a great contract, but one that he had to decline as he hopes to make a breakthrough in his career. However, the actor revealed that he will not say no to a per-series contract if such was offered to him. When asked if the small salary was the reason for his departure, Michael stated, "It's been said for several years; TVB gives you more opportunities than money. You cannot make all the money out there. I wish to collaborate with people I haven't before." However, when asked if he is switching over to Ricky Wong's HKTV, Michael Tse answered simply, "There are still a lot of choices."